AutoDelivery appears to be designed to operate within warehouses and stores, or facilities where it will generally be alongside human staff, rather than make deliveries to consumers’ addresses. The proof-of-concept robot is powered by BrainOS, the company’s commercial operating system for the production, installation, and support of autonomous mobile robots, or AMRs. 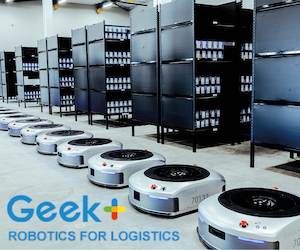 Robotics Business Review has agreed what’s being described as a “strategic alliance” with Peerless Media, a publisher in the materials handling, logistics, supply chain, and engineering markets. 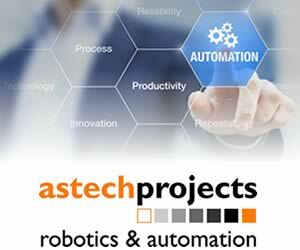 RoboticsBusinessReview.com is a website in a similar market to RoboticsAndAutomationNews.com, and is published by the Robotics Group, which also organizes RoboBusiness Events. With a global production volume of 1.8 billion car tyres per year, the focus is very much on efficiency and productivity. This is where the Festo Motion Terminal VTEM comes in: it digitises pneumatics, thereby speeding up processes and reducing costs, for example when transferring the rubber layer to the tyre building machine. Before the green tyre is produced in the tyre building machine, the incoming rubber plies are imprinted with different patterns so as to prepare the tyre material perfectly for the tyre-building machine. Groupe Renault is beginning the first large-scale pilot schemes in vehicle-to-grid charging, also called reversible electric charging. A fleet of fifteen Zoe vehicles with vehicle-to-grid charging will be introduced in Europe over the course of 2019 to develop the company’s future portfolio in reversible charging and lay the groundwork for future standards. These pilot schemes began in Utrecht (the Netherlands) in an ecosystem developed by We Drive Solar and on Porto Santo Island, in Madeira, Portugal, with Empresa de Electricidade da Madeira. More pilot schemes will be introduced in France, Germany, Switzerland, Sweden and Denmark.